After two weeks of school, I already had my first week off for a religious holiday. My school observes both Orthodox Christian and Islamic holidays so I’ll get to experience the full gamut this year. This past week, it was the Muslim holiday, Eid al-Adha, that was celebrated throughout practicing nations including Egypt. This holiday is also called the “Sacrifice Feast,” because it honors the sacrifice of his son that Abraham was willing to make for God. To celebrate the holiday, goats and sheep have been penned in the streets waiting to be given out as meat for the holiday. I did not witness the bloodletting. 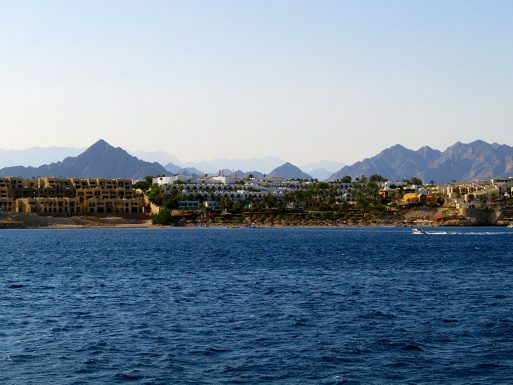 Instead, a co-worker and I decided to take advantage of the time and head to the resort town of Sharm el Sheikh along the Red Sea on the Sinai Peninsula. 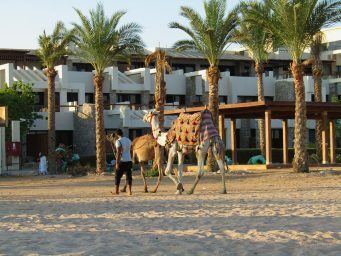 We spent five days, four nights vacationing along Egyptian families also away on holidays. There was also a smattering of Eastern European tourists. But for the most part, there were not many people in town. In fact, it was a bit of a ghost town. 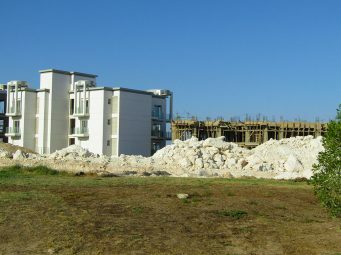 We enjoyed it because it was quiet and relaxing, but there were many hotels, empty, half-built, abandoned. 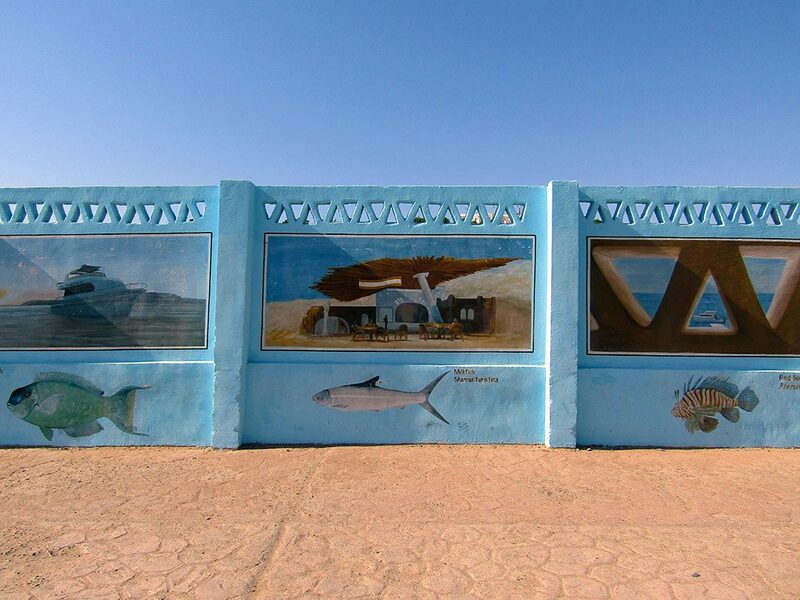 A mosaic mural on the road to the beach. 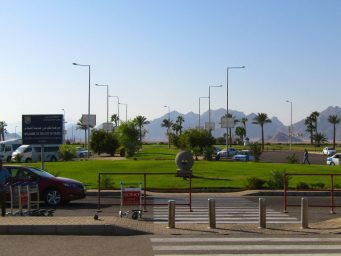 The Sharm-el-Sheikh airport welcoming visitors to the City of Peace. It looks like construction stopped halfway on some building and hotel projects. 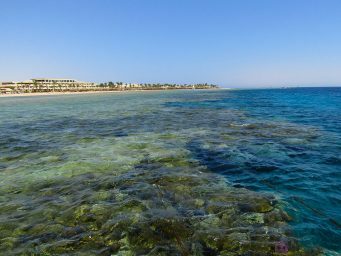 In general, tourism is down in Egypt, but especially in Sharm after a flight to St. Petersburg crashed in October 2015. ISIL claimed responsibility. 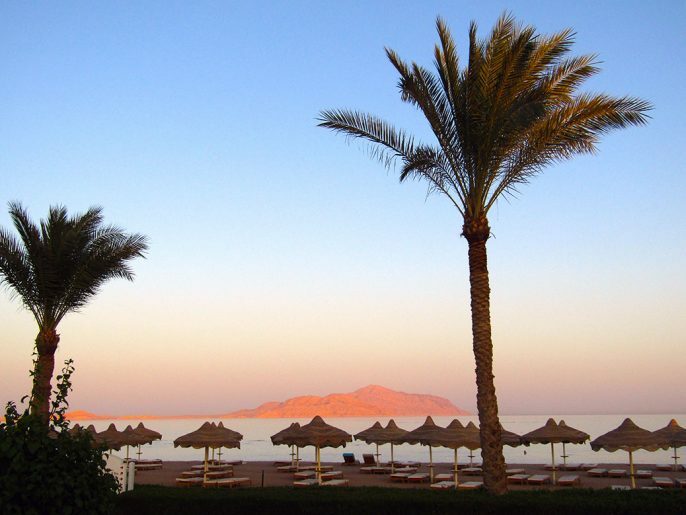 Since then, many countries stopped direct flights to Sharm el Sheikh. Now, tourists must fly to Cairo first then transfer to a domestic flight to Sharm el Sheikh. 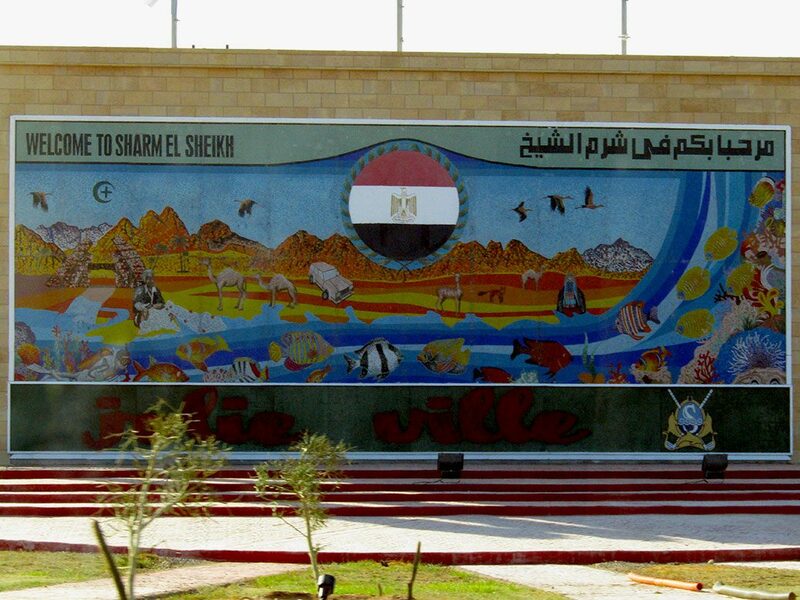 It wasn’t a problem for us because we are living in Cairo. 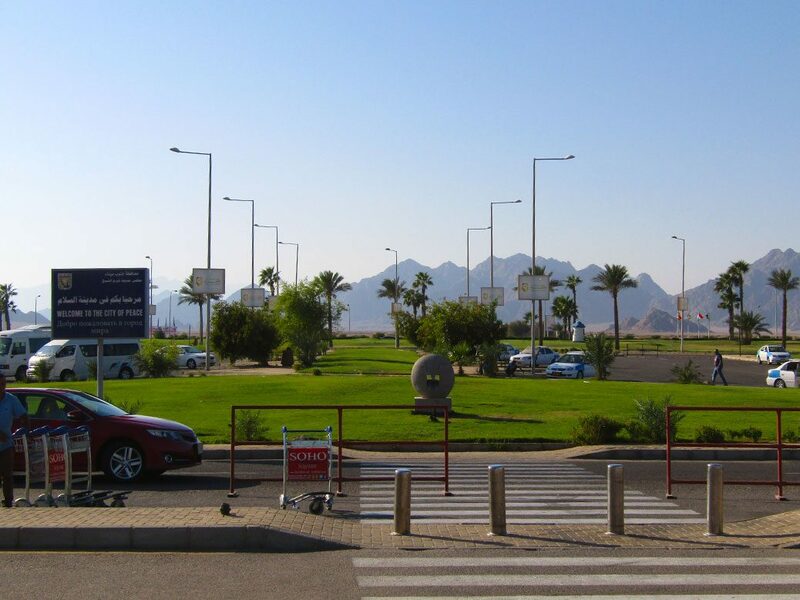 After several security checks, it was only an hour flight to the town on Egyptian Air. Somehow, we ended up in Business Class, which was a nice treat. 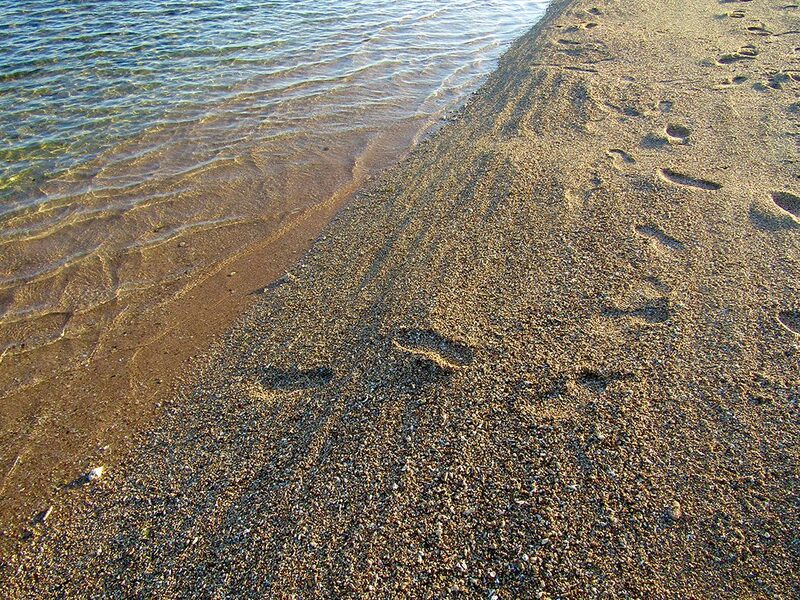 Footprints in the pink coral sand. 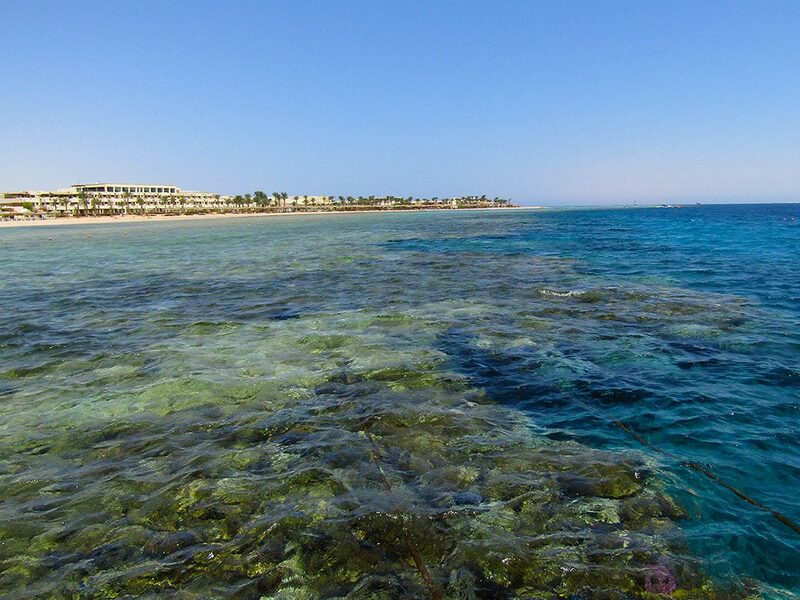 Clear waters of the Red Sea. 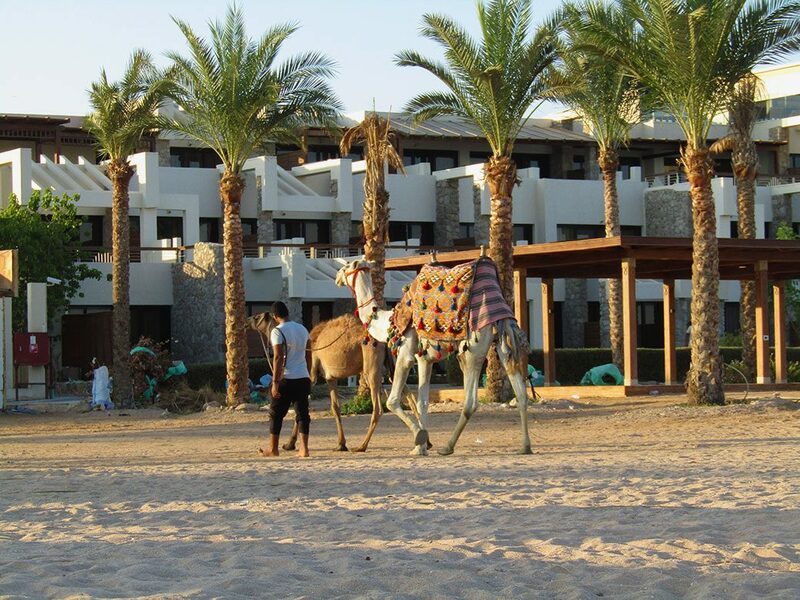 Camels going in for the night, done being photographed by tourists like me. 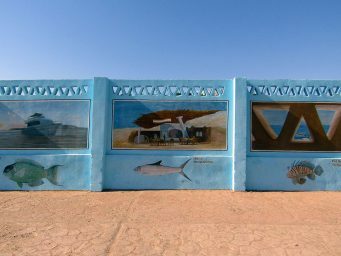 Coastal murals advertising the fish that can be seen in the reef. 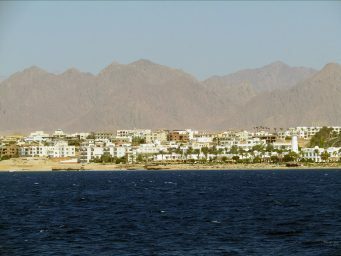 The terrain on the Sinai Peninsula is like nothing I’ve seen before. 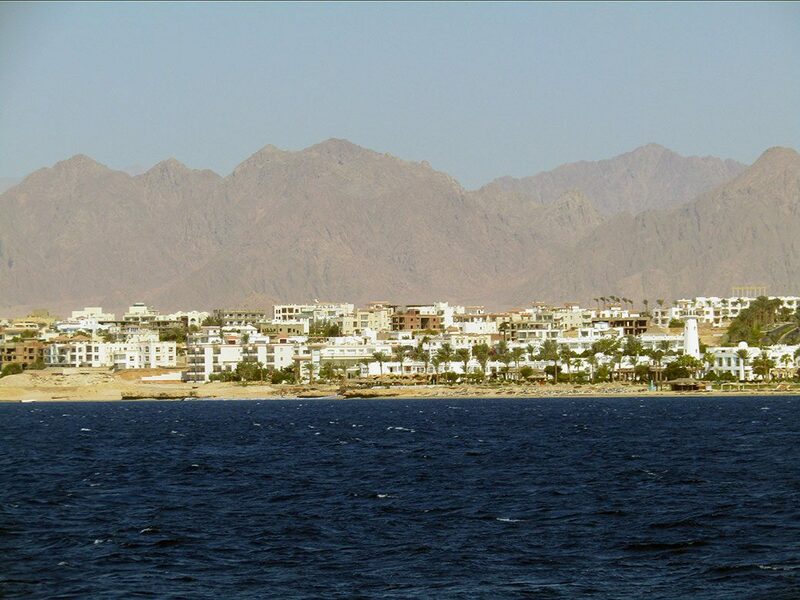 The dusty red mountains rise up, rocky and defiant. 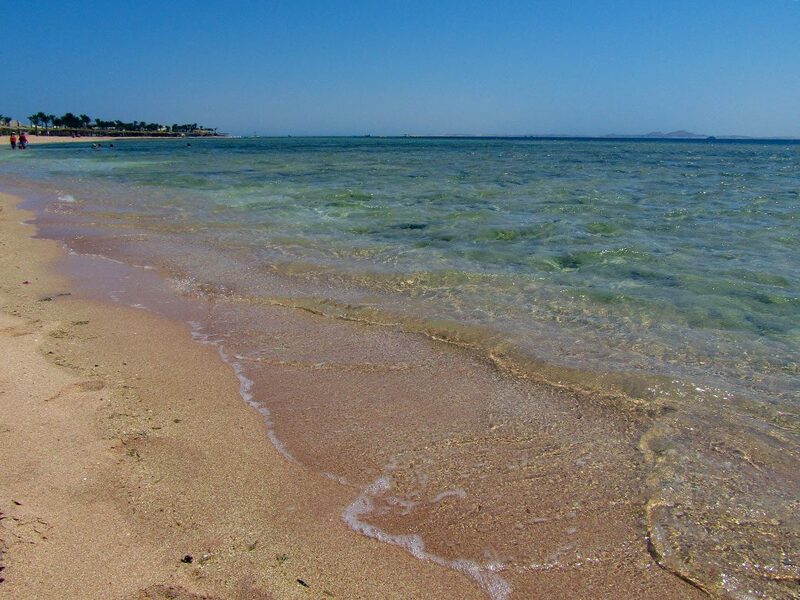 The sea is a cobalt blue from a distance, clean and clear close up. The sand is pink and filled with white shells and coral. 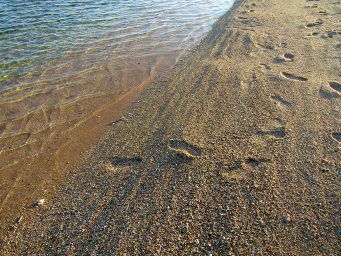 When we first arrived, I could see this as a setting for the Biblical tales I had heard of. 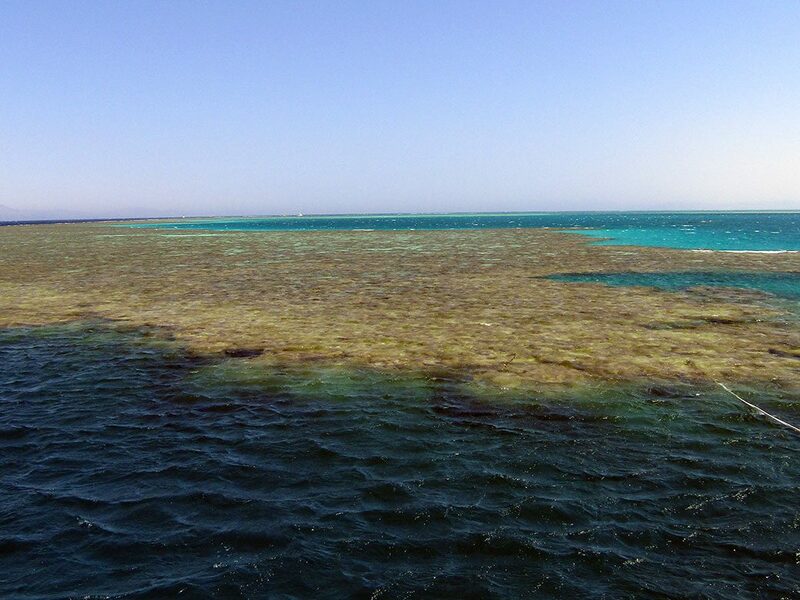 Looking down on shallow coral. 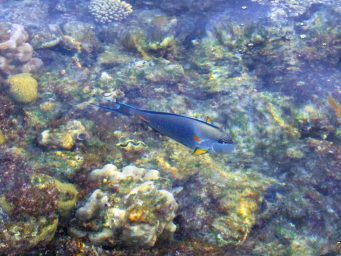 A tropical fish zips through. 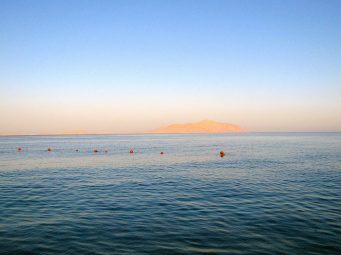 Tiran Island was visible from our resort. 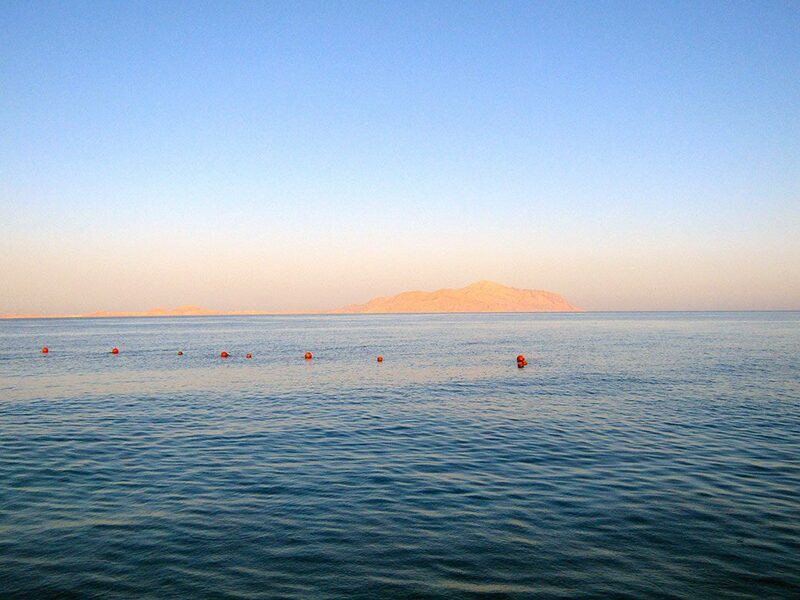 The view from the hotel’s dock, where we could dive into deeper waters. 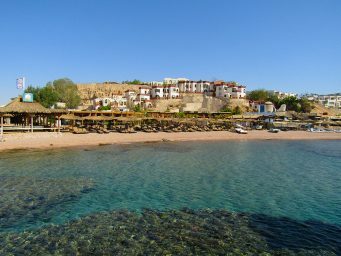 Looking back onto the seaside village from the diving boat. 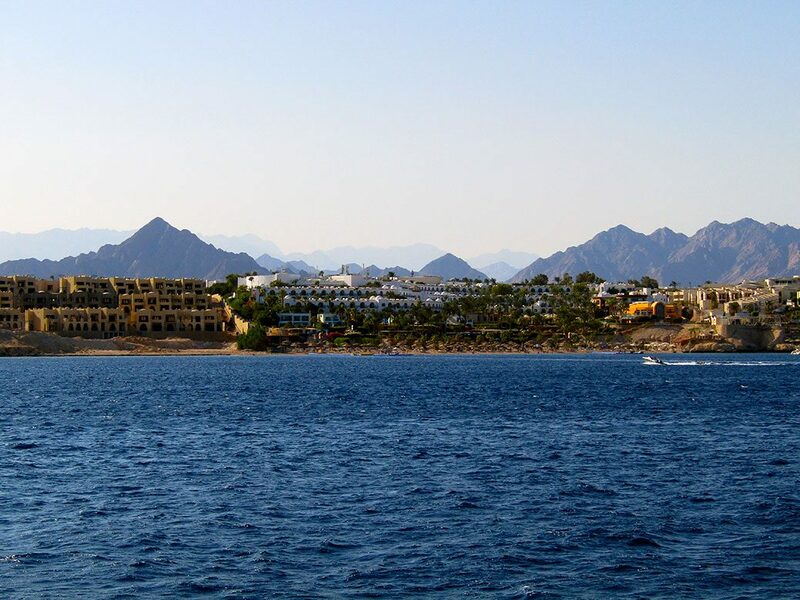 Dusty mountains and blue waters. 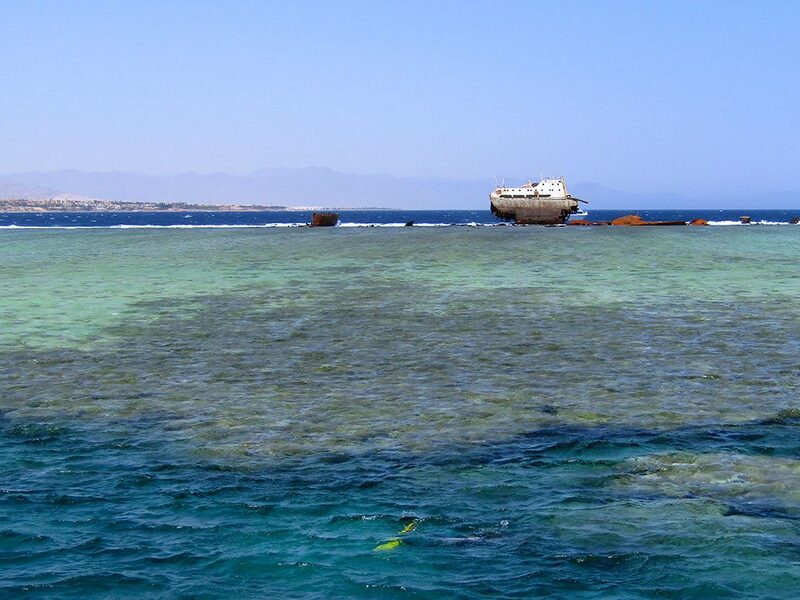 First snorkeling and dive site off Tiran Island. The second dive site, the wreckage of a sunk ship. 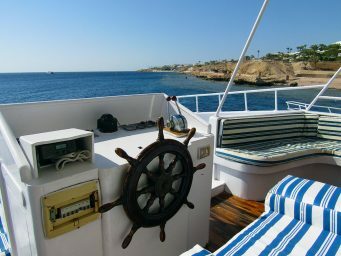 A boat sits waiting for snorkelers and divers to finish exploring. 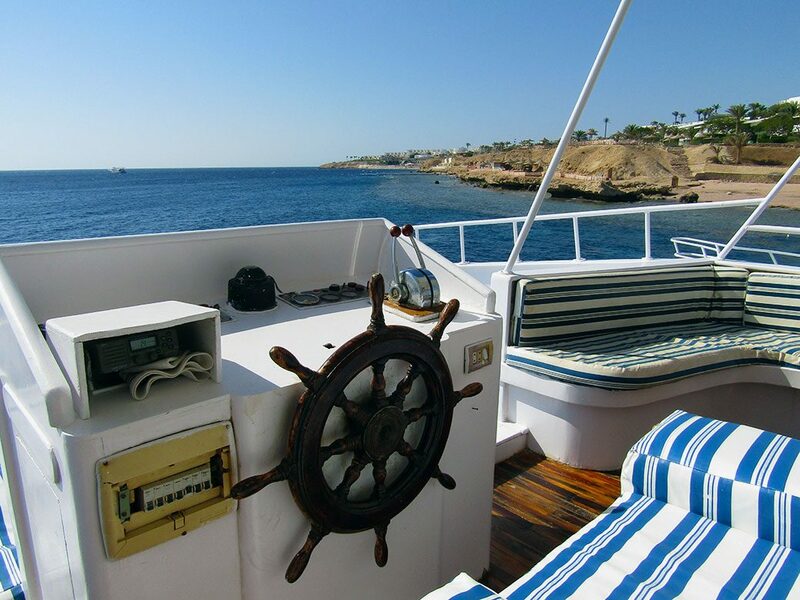 We spent a whole day snorkeling the Red Sea at three different sites. 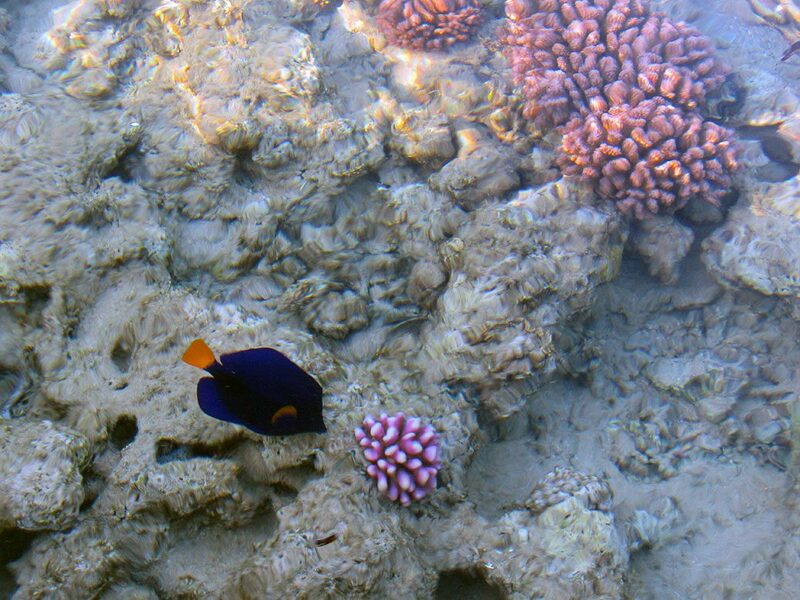 I saw angel fish, a (venomous) lionfish, a stingray, neon parrotfish, clownfish, butterfly fish, and yes, even Nemo! I also loved the variety of colors and types of coral. 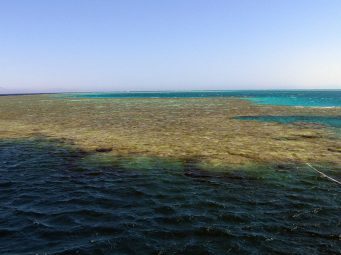 In my opinion, the coral reef and snorkeling was just as beautiful as the Great Barrier Reef in Cairns, Australia. 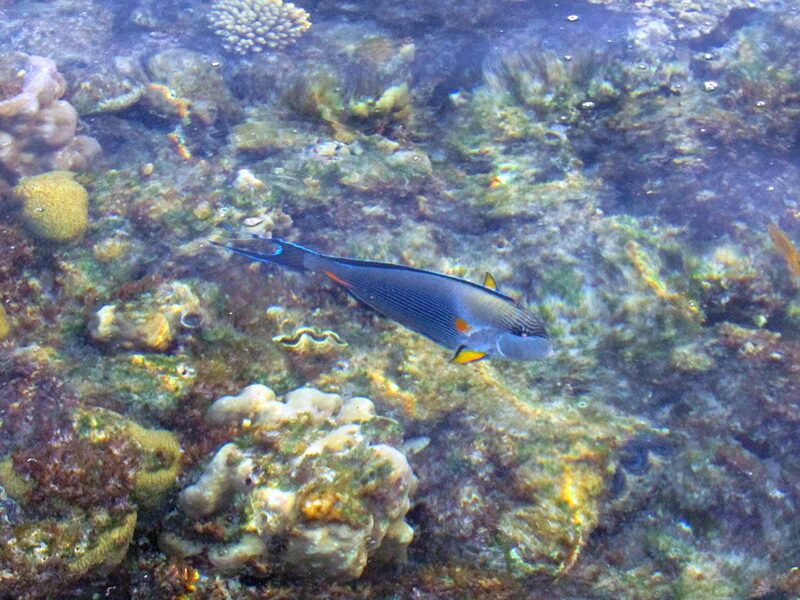 I kept thinking how we spent more than $100 Australian on a snorkeling trip. 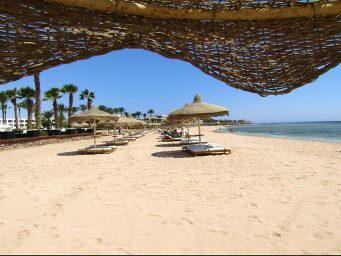 The price at Sharm el Sheikh? Thirty US Dollars. We had a perfect trip. We felt safe. And we could wear whatever clothing or bathing suits we wanted. We saw everything from bikinis to burkinis. 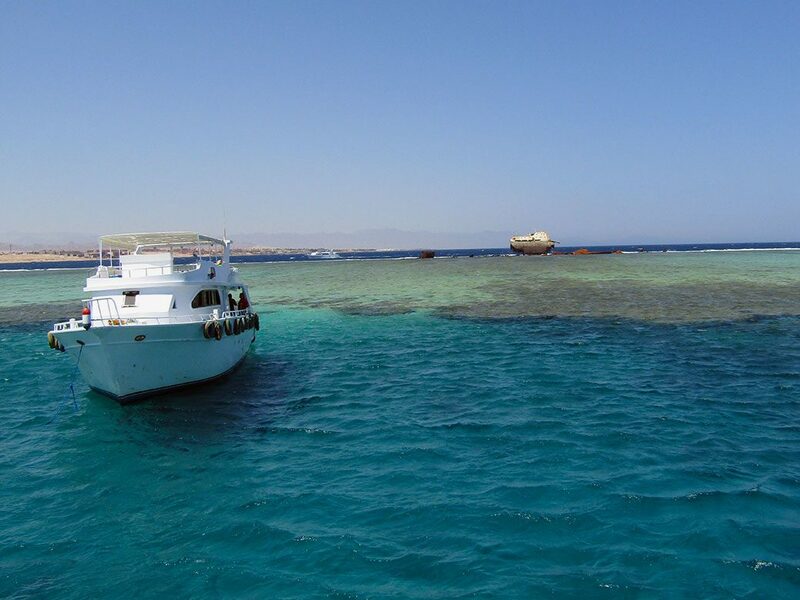 Did you know that Egypt was a destination for diving and snorkeling in its Red Sea reef? Enjoy the pictures!